HBO released the first official teaser for the upcoming installment of “Game of Thrones” on November 27, 2016. It featured three of the main characters - Sansa Stark, Arya Stark and Jon Snow. The teaser was broadcast during an advertisement break of HBO's "Westworld," the US network's sci-fi series. It lasted about two seconds and the shots had never been seen before. 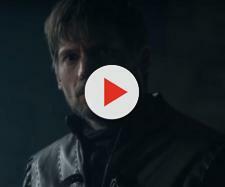 There is no specific information that was revealed in the short "Game of Thrones" montage but it focused mainly on the remaining children of the House of Stark. Sansa Stark, portrayed by Sophie Turner, was seen standing before a weirwood tree that is located outside of Winterfell. She appeared a little shocked in the said montage. Arya Stark, portrayed by Maisie Williams, was seen riding a horse with a cape which is similar to the one being used by the rest of the living Starks. On the other hand, Jon Snow, portrayed by Kit Harrington, was seen on the ramparts of Winterfell. He was shown in conversation with a woman with hair similar to the color of Sansa's. It seemed that the Starks are on their way to being reunited and it seemed that they would try to get back what supposed to be theirs. Actress Sofia Turner, the lady behind the character of Sansa Stark, told Entertainment News Weekly that in her character as Sansa, she will finally take the reigns of her life for the first time in Season 7. She said that fans will enjoy seeing Sansa assume a role of power initially. According to Turner, "She's seemingly in control for the first time and it really suits her. She's kind of having a bit of a power trip. But she's also becoming more insecure, because there are threats to the power that she holds," She also felt excited about the upcoming season and she felt like things are ramping up. What really excites her most is how the main characters will come together and be reunited.Turner said, "It's really exciting and all feels like it's coming to a big conclusion and people are forming alliances with other characters, maybe that they've seen before, maybe that they haven't," She also added, "There are a few reunions happening this season - or unions. There were a few that I'm quite excited about,"
Season 7 of “Game of Thrones” will return to HBO in 2017. The series consists of seven episodes, No concrete release date has been set at this time.